Lee Gamble‘s latest album is a delicious concoction of triggered flashbacks, contorted bass, and experimental beats. In a way, the record is both, an interesting diversion for this London-based producer, migrating from Pan over to Kode9‘s monumental, cutting edge imprint, and Hyperdub itself, taking a less conventional route into an innovative arena with this fascinating release. Gamble’s last full-length, titled Koch, appeared in 2014, and quickly became a favorite among the followers and critics alike, gaining more than a few accolades and elections on best of the year lists (including Headphone Commute, of course). 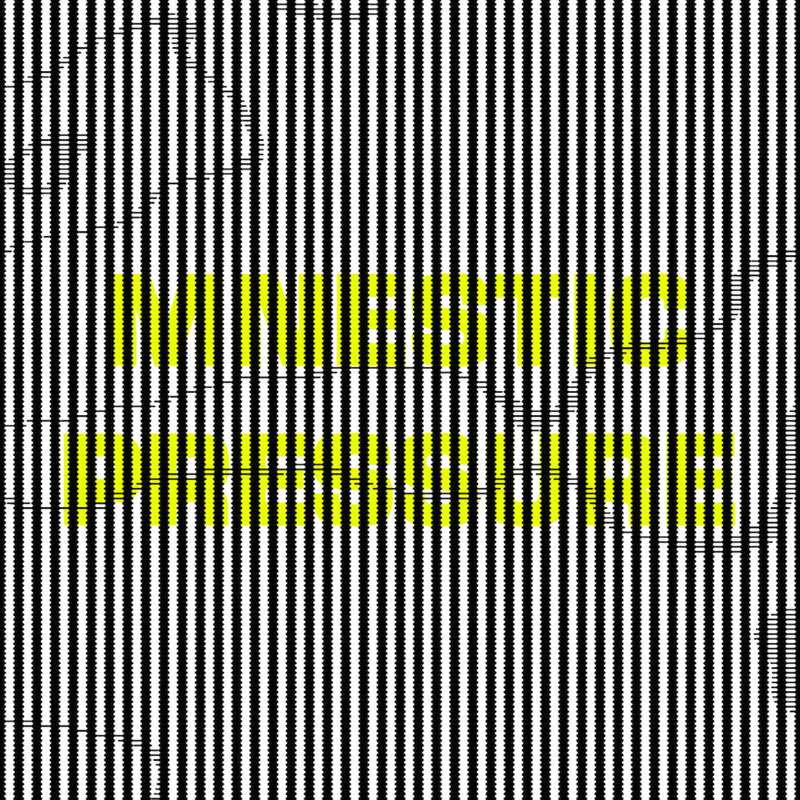 Mnestic Pressure is not much like its predecessor – a bit devoid of rhythmic structure, repetitive basslines, and patterned stamps. That doesn’t mean that it’s not there. Hiding beneath the surface is a rather deconstructed echo thereof, which makes it a much more interesting listening experience, at least for these ears. With mind-warping glitch-swirling void-stirring elements smelling of Autechre (like the track “Sweva”), a bit of Squarepusher‘s broken Amen breaks (hear “Ghost”), and even a hint of dismantled Andy Stott paired with a savory harsh tonic of Florian Hecker (it’s all in there, if you really dig), Mnestic Pressure rewards a discerning connoisseur of lo-fi sound, abstract rhythms and software controlled phrase manipulations upon subsequent active listening sessions. And then, just when you know it, it will twist on you again. Peeling the crumbling paint off the cold stone brick foundation of this album reveals a collection of cherished jigsaw pieces, which, when re-assembled, present a deeply personal painting, masking just beneath the grime. On many occasions, listening to the 13 transmuted tracks of this obscure mould of sculptural disintegration, I feel like a judge on a panel of one of those television competition shows (Penn & Teller’s “Fool Us” comes to mind), where I am busy taking notes and consulting with the advisors, on judging the secret behind the magic within each closely rendered sonic trick. Was that a snippet of jungle beneath the dropping bass? Except that I don’t have the answer, and, honestly, would prefer to leave the illusion be unknown. Mnestic Pressure marks a new and interesting point in Gamble’s musical career, which has been recently augmented by his orchestral works performed by the London Contemporary Orchestra in a cave in Yorkshire, as well as a new Audio Visual performance presented by Tate London in November. You can also dig the internets for his BTS Radio or RA DJ sets.